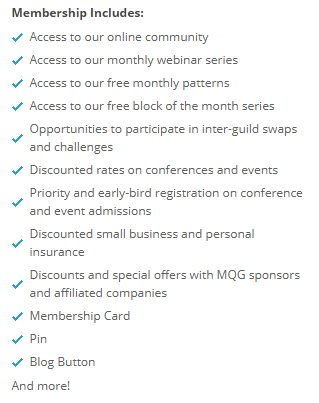 Please note, that due to our facility limitations, the London Modern Quilt Guild Membership is full at this time. We are accepting a names to be put on a wait list for membership. To have your name placed on the wait list, please email our Membership Coordinator by clicking here. If you wish to attend our guild meetings as a guest you may attend your first meeting for free and then each meeting thereafter is $5. You may attend as often as you are able and until we have an available membership spot open up. Meetings are on the second Saturday of each month from 12-5pm. 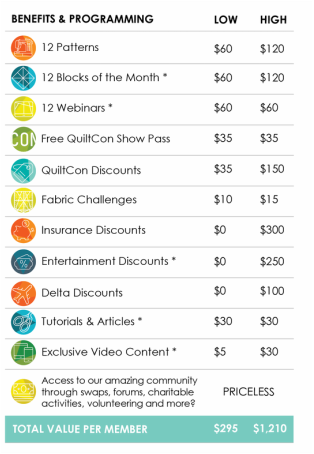 In the meantime, you may be interested in becoming an Individual Member of the Modern Quilt Guild. To find out more of what is available as an Individual Member, please click here.